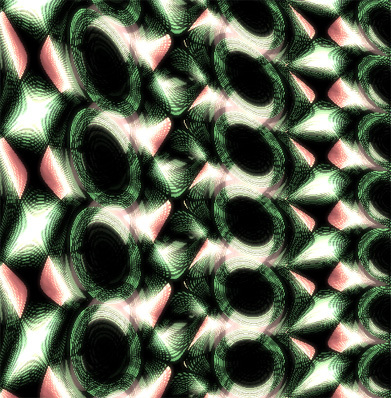 This snippet uses some of the techniques from the last few posts to create a distance render - this renders the implicit equation for a torus. This is one of those things I've been meaning to play with for awhile. The above demos a function called hsv() which takes 3 arguments: angle (0-360), saturation(0-1) and value(0-1). 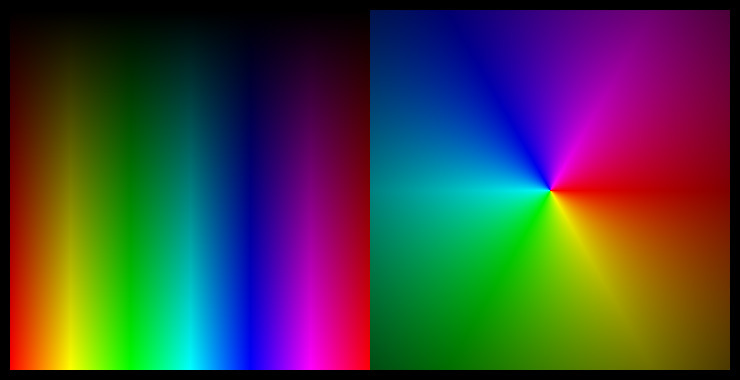 The function returns an array of rgb values each with a range of (0-255). There's some room for optimization here, but for clarity I left as is. Even just playing with HSV (also know as HSB) for a few minutes, I see some interesting potential for dynamically generating color palettes for generative style experiments. I looked around for the most elegant looking code snippet to port in order to write this... I eventually stumbled upon this great resource. I usually only post one snippet a day... not sure why I decided to post two today. The first time I needed to use an ActionScript variable within inline XML I was stumped. I couldn't figure it out and I wasn't able to easily find it on google. I eventually found it somewhere (don't remember where... possibly hidden away in the docs). Now a search for "insert actionscript variables into e4x" on google gives plenty of results. But I figure it's worth a post. When AS3 first came out I didn't realize that prototype was still around.... This adds a function called tint() to all MovieClips. You should extend MovieClip instead of using this method.... but it's interesting to see that it's still around. There's an explanation of prototype and the AS3 namespace here. 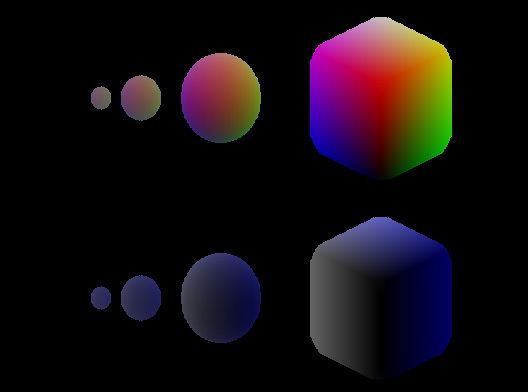 The ColorTransform object is a little confusing with its "redMultiplier, redOffset, greenMultiplier etc..." properties. Once you understand them it's not a big deal, but I still find them a bit cumbersome. So when I just want to tint a clip similar to the way you might tint a clip in the IDE... I use this tint function. Rather than taking a hexidecimal number it takes values for red, green and blue (0-255) - and an amount argument (0-1).